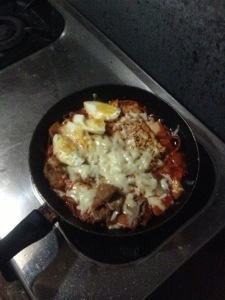 Its rabokki night!feast for the empty tummy in the middle of the night! After a long boring day here I am hungry again in the middle of the night! Decided to make some calorie booster! 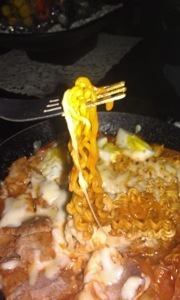 And its rabokki! A feast for the empty tummy in the middle of the night, a sweet and spicy treat to wake you up while watching movie. Lol. Hahah. 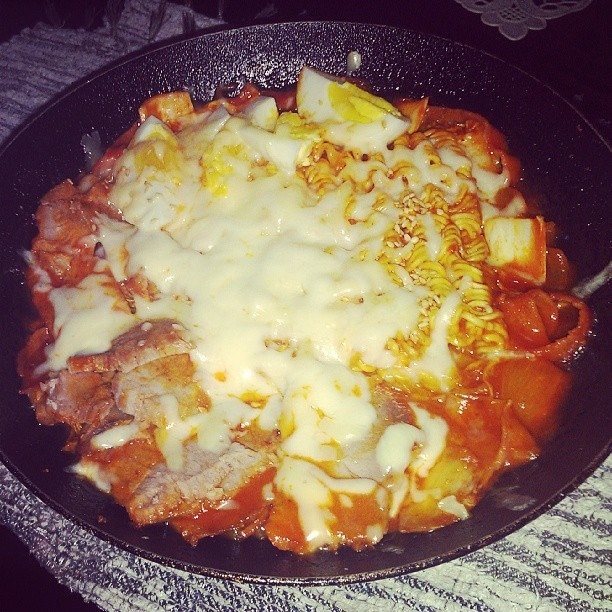 Added some pork tenders and kimchi,cabbage and cheese! Mozzarella and cheddar. Goodnight! ← S’mores all you can!